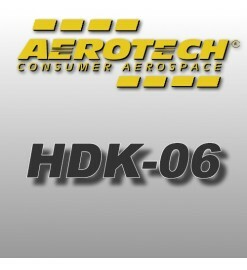 Delay kits for Aerotech Low Power reloads (Hobby Line). Use them to replace the delay included with the motor when you need a different one. HDK delays There are 24 products. Delay element for Aerotech RMS 24/40 motor reloads. This element replaces the one included in in the reload if you need a different time. Delay element for Aerotech RMS 18/20 motor reloads. This element replaces the one included in in the reload if you need a different time. Delay element for Aerotech RMS 29/40-120 motor reloads. This element replaces the one included in in the reload if you need a different time.